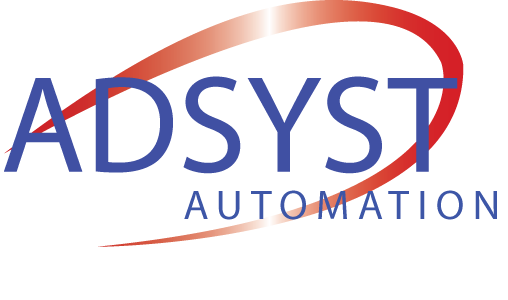 At Adsyst we understand that our continued success is down to our dedicated team, therefore we invest time and effort in each individual; training and assisting with their personal and professional development, helping them build on their weaknesses and encouraging their strengths. Our staff not only benefit from ‘on the job’ training we also offer opportunities to progress through the company and choose the direction of their own career. In addition to this we offer extremely competitive salaries and an enviable benefits package. The Electrical Systems Design Engineer will be responsible for the delivery of electrical drawings, identification, and specification of equipment/ components ensuring technical compliance and quality. Attending meetings with clients to discuss the design, surveys, programming, configuration, testing, and commissioning. The ideal candidate will have previous experience in a similar industrial control systems environment and good knowledge of electrical standards, designs, circuits, and installation. Training will be provided through the mentoring process working alongside other project engineering staff. Please contact opportunities@adsyst.co.uk if you wish to know more or enquire online. The Control Systems Engineer will be responsible for the full life cycle delivery of the project in both technical compliance and quality. Attending meetings with clients to discuss the design, surveys, programming, configuration, testing, and commissioning. The ideal candidate will have previous experience in a similar environment and good knowledge of PLC’s, SCADA, HMI, variable speed drives and instrumentation products. For Lead positions, we would look for the ability to manage and motivate a team of engineers to get the best output. This is a fantastic opportunity as a Graduate / Junior Control Systems Engineer to be involved in the full life cycle delivery of control system projects. This role will incorporate software design, implementation, testing and undertaking of on-site commissioning where necessary. The successful candidate will be given training and mentoring, gaining experience and knowledge of PLC’s, SCADA, HMI, variable speed drives and instrumentation. We are currently not recruiting for any Installation positions at this office. Please check back soon as this site is updated regularly. We are currently not recruiting for any IT positions. Please check back soon as we update this regularly. We are currently not recruiting for any Sales positions. Please check back soon as we update this regularly. We are currently not recruiting for any Support positions at this office. Please check back soon as we update this regularly. We are currently not recruiting for any Engineering positions. Please check back soon as we update this regularly. We are currently not recruiting for any Installation positions. Please check back soon as we update this regularly. We are currently not recruiting for any Installation positions at this office. Please check back soon as we update this regularly. We are currently not recruiting for any Support positions. Please check back soon as we update this regularly. The Industrial Electrical Engineer will be working alongside other experienced electrical and software engineers and will be responsible for the delivery of the project in both technical compliance and quality. Attending meetings with clients to discuss the design, surveys, programming, configuration, testing, and commissioning.